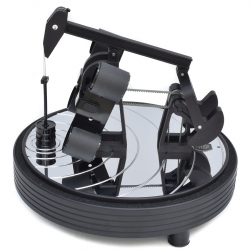 This Kunstwinder double watch winder is a member of famous Oil Baron collection, inspired by the work of the pump jack used in petroleum business to extract crude oil. 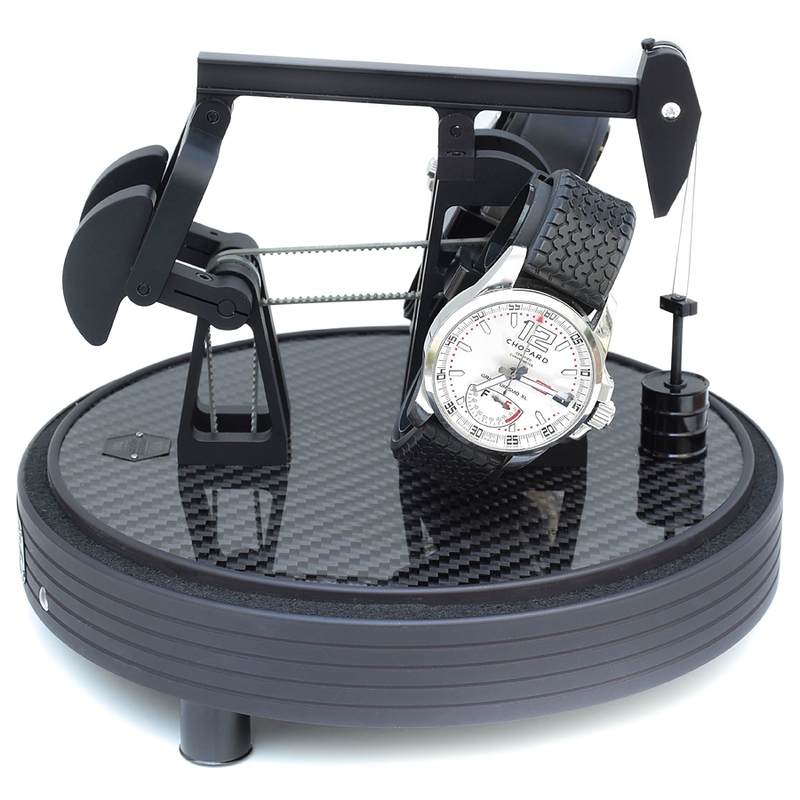 The base features genuine carbon fiber material, and the mechanism has matte black finish. The automatic watch winder runs on precise, ultra-quiet, reliable, Swiss brushless gear motor which powered by a universal 90-260 VAC adaptor. 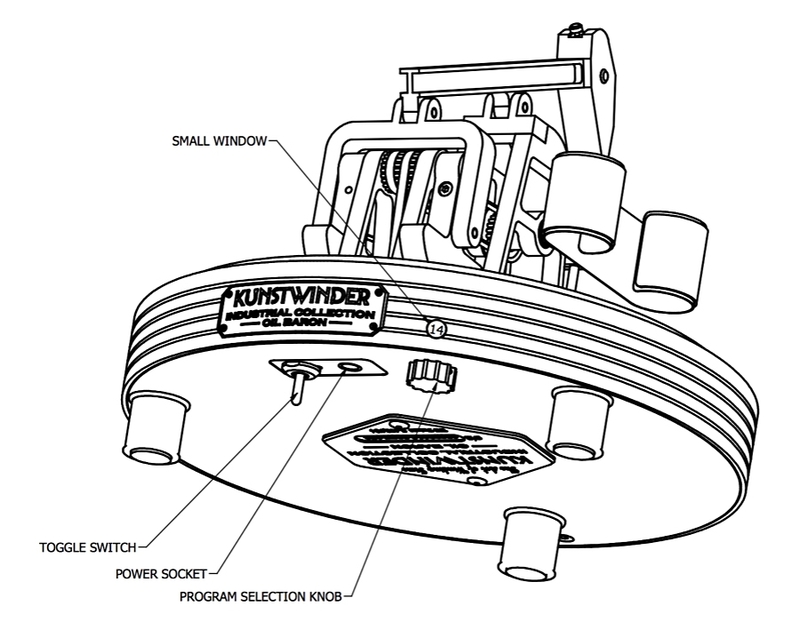 The winding technology of Kunstwinder was granted US patent 8408784. The device offers 24 pre-programmed modes. The knob located under the base is used to select a required program. The numbers in the small window show the current rotation rate in hundred-turns-per-day (HTPD). The maximum rate is 16, or 1600 turns-per-day. By toggling the switch under the base, you can also choose between 2 directions of rotation: single (amber LED) or alternate one (green LED). 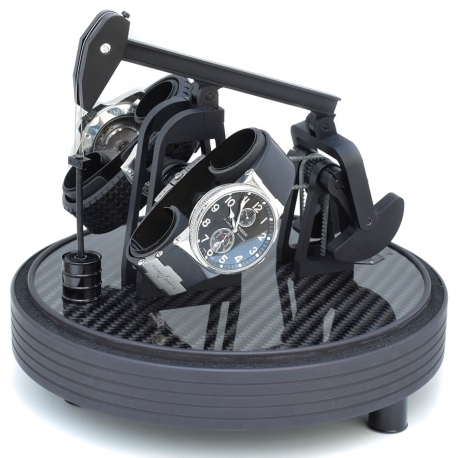 Single direction option rotates the automatic watch in one direction for 6 minutes, rests, and then rotates it for the same amount of time. 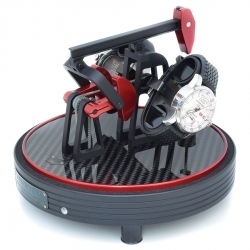 Alternate mode rotates the timepiece in one direction for 3 minutes, rests, and then rotates it in the opposite direction for 3 minutes. You need to consult the watch manufacturer before choosing the correct one. 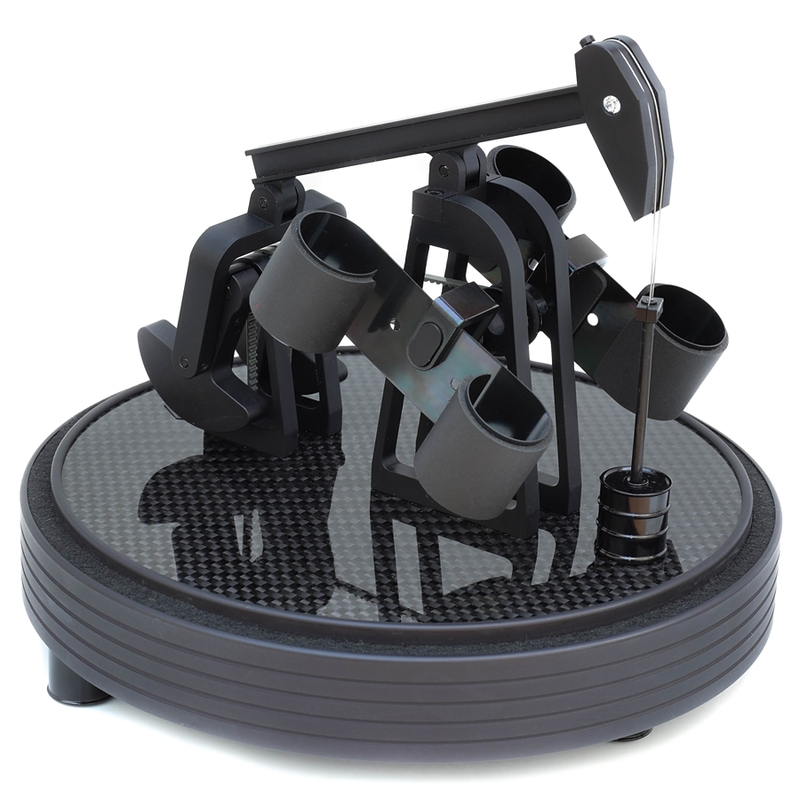 There are two watch-mounting springs that can be easily adjusted to fit any band size. They're also covered with protective rubber to avoid scratches. 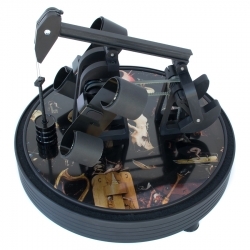 This Kunstwinder Oil Baron watch winder is numbered within a limited production series. When you buy at 24diamonds.com, it comes with a 3-year full warranty.